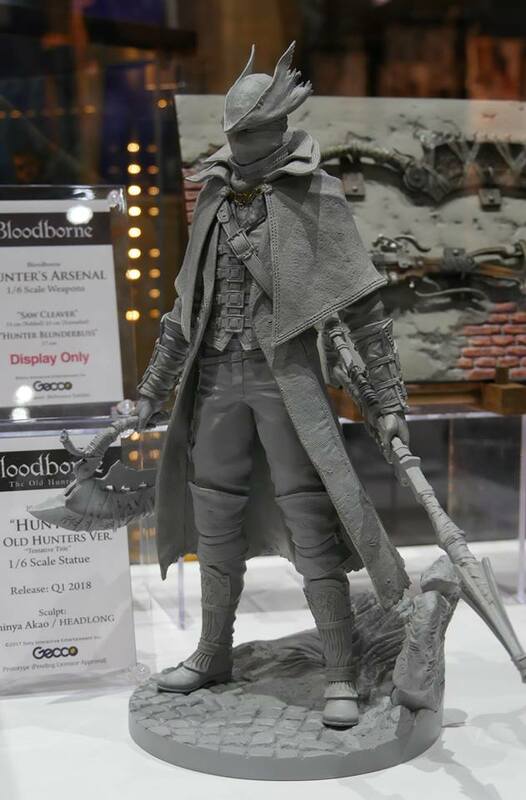 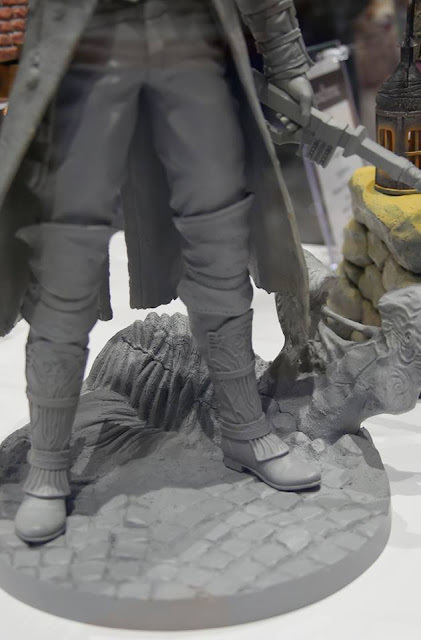 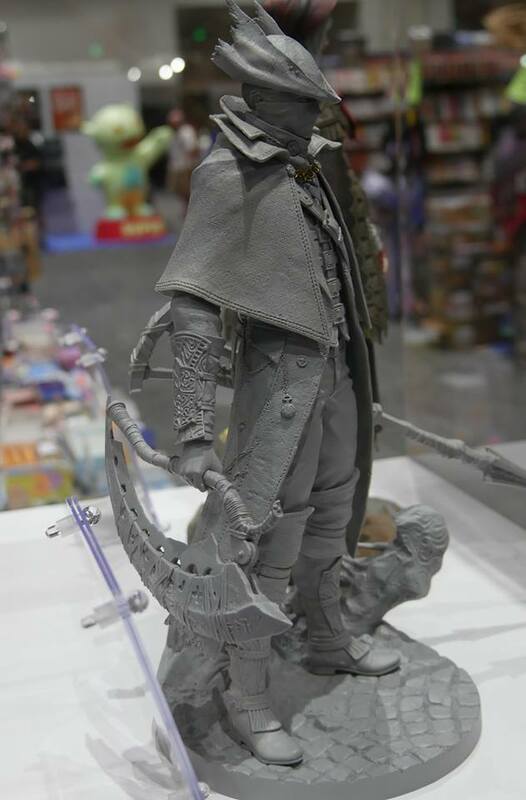 Gecco were also at SDCC 2017 with their amazing 1/6 Bloodborne Statues..
Due to the overwhelming success of their original Hunter Statue, Gecco will be doing a new version of the Hunter Statue. Here are the prototype pics of the new version.. dubbed as the "Old Hunters Version"
The exact details are not known yet but there's a difference in the base as well as the weapons that this version will come with. 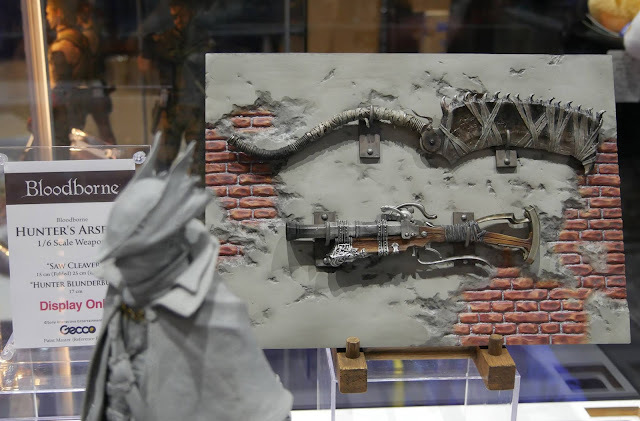 The original version's weapons looks like it will be sold separately as switch-outs. I was very happy to hear about this new version. I missed out on the original and after-market prices are just crazy. 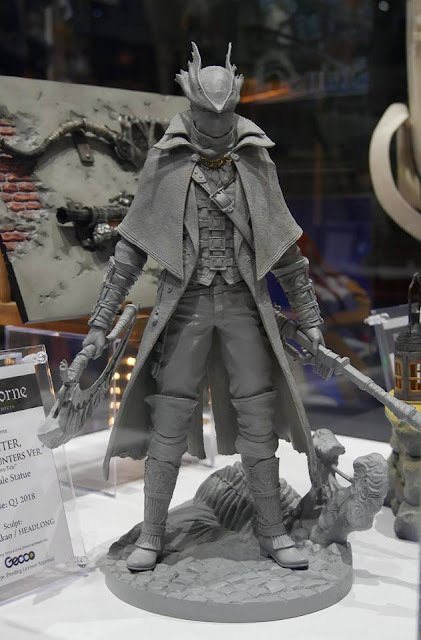 This will be a 'just-as-good' option for those who are still looking for it. 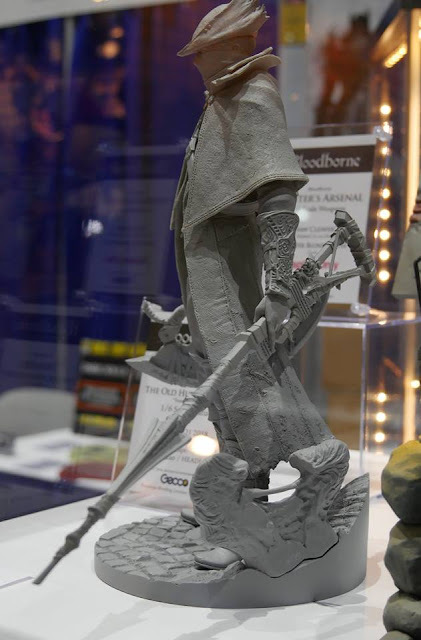 I have yet to start on this game so I'm still not 100% convinced I should dive into Gecco's line of Bloodborne Statues. This and the Doll Statue look great but are not cheap either. 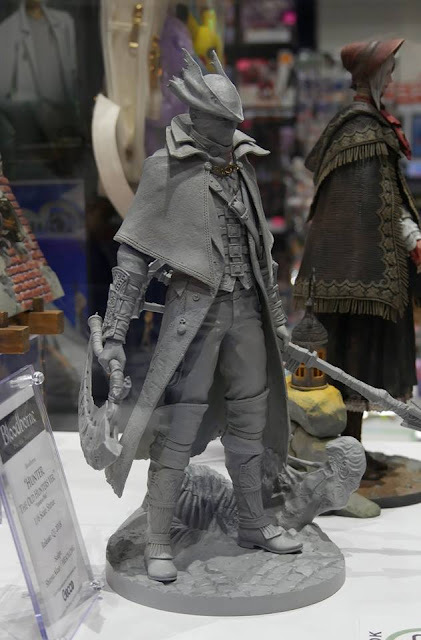 Not sure how much of a fan I will be, so got to start on the game before I decide..